Pastels! It seems ironic, but we are seeing bold, saturated pastels make their debut all over the map in both the design and fashion worlds. Bright pops of pastel pinks and blues truly make a statement in your interior- bringing fun and lightness to the space. Foliage! At one point, houseplants were seen as a dated way to decorate. But they're back! Different from your typical spider plant, you are seeing unique and distinct uses of foliage in interiors that surely make a room pop. Turquoise! Turquoise is one of those colors that ebbs and flows- one day it's all the rage; the next, it's seen as antiquated. But, there are ways in which you can implement this beautiful hue into your space that are both timeless and classic. Gold! Remember in the early 2000's when we were all trying to replace our brass knobs and hardware with brushed nickel? Well, gold is back in at full speed. 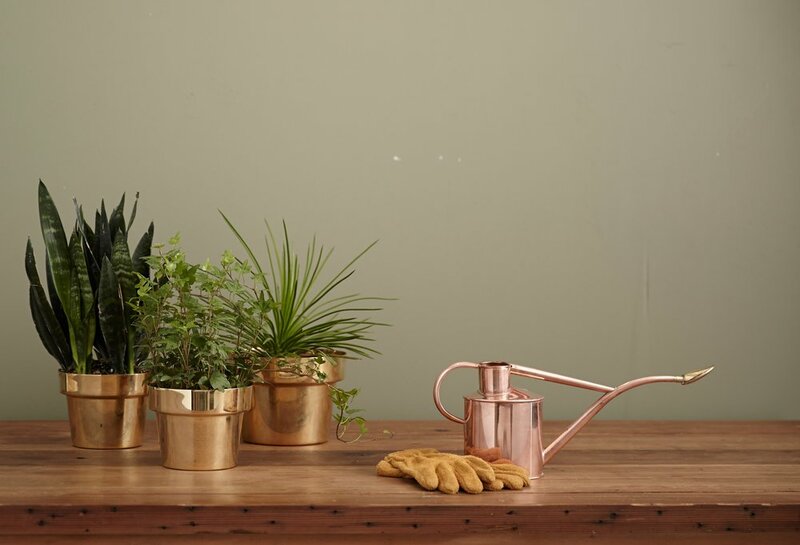 But not the shiny brass we saw everywhere in the 90s- a more rustic look is what is trending. Metallic Floors! Such a statement! We are seeing designers all over the world painting concrete floors with metallic paints. We are seeing small flecks of silver and gold in carpet patterns. We are seeing metallics all over the flooring industry and they surely make a statement!